With winter approaching – although I’m still waiting for autumn to kick in – we’re all probably starting to think about our children’s winter wardrobes. 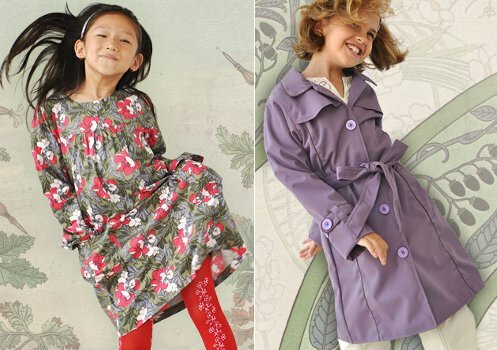 I’ve just been through my daughter’s winter threads and thankfully she can still wear about half from last year but will need all the basics and some standout pieces.That’s where I head to Eternal Creation, which is still one of my favourite children’s brands ever. The trademark prints, the ‘perfectly suited to any skin tone’ colours and the amazing attention to detail and tailoring are second to none. I fall for their designs over and over again and the new Winter 2010 collection is no different. Set to be released tomorrow, the girl’s winter range features shades of mauves and purples, dark pinks and bright reds, the most gorgeous olive-like greens and hints of smoky blues. There’s some beyond adorable beanies, sophisticated trench coats (I’m first in line!) and smashing leggings to keep little legs warm. 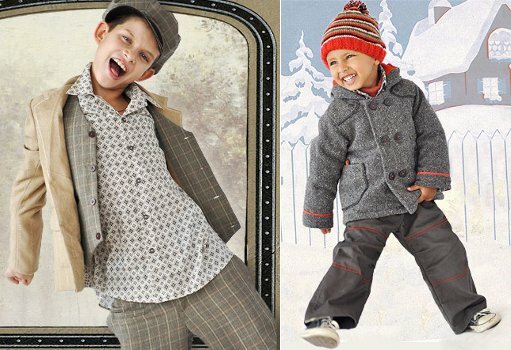 The boy’s collection is just as great with uber-cool vests, classic peacoats, newsboy caps and, of course, the cutest overalls for the little guys. 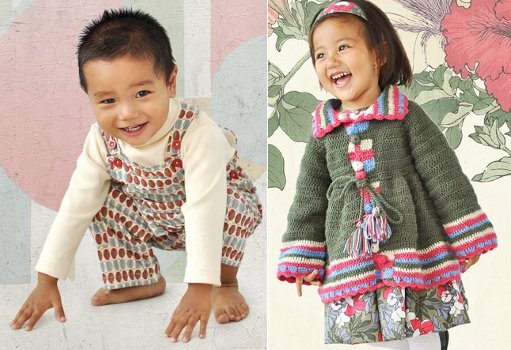 Here at Babyology, we’re big fans of the label (evident from our features in April and September last year). To buy your first piece or add to your collection of Eternal Creation, head to their website. Prices vary depending on garment.